It is a RF-4C Reconnaissance variant that was part of the fleet until 2002. 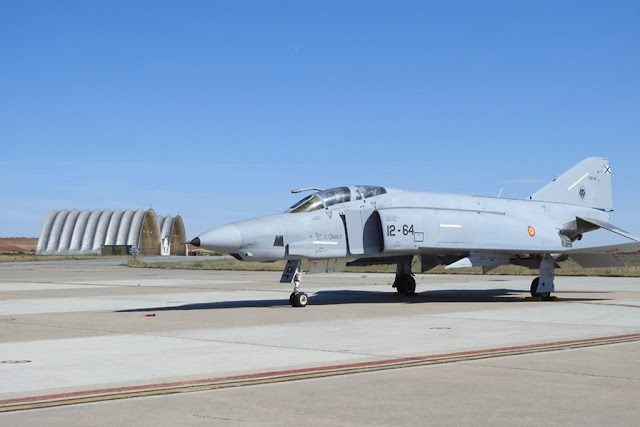 The Ejército del Aire (Spanish Air Force) Ala 12 based on Torrejón Air Base has recently refurbished a Phanton aircraft that became part of its fleet in 1971. When the famous aircraft entered the Spanish aviation, it marked great improvements due to its ability to air refueling and the great load of weapons. It has gradually replaced the F-86 and F-104 aircraft. 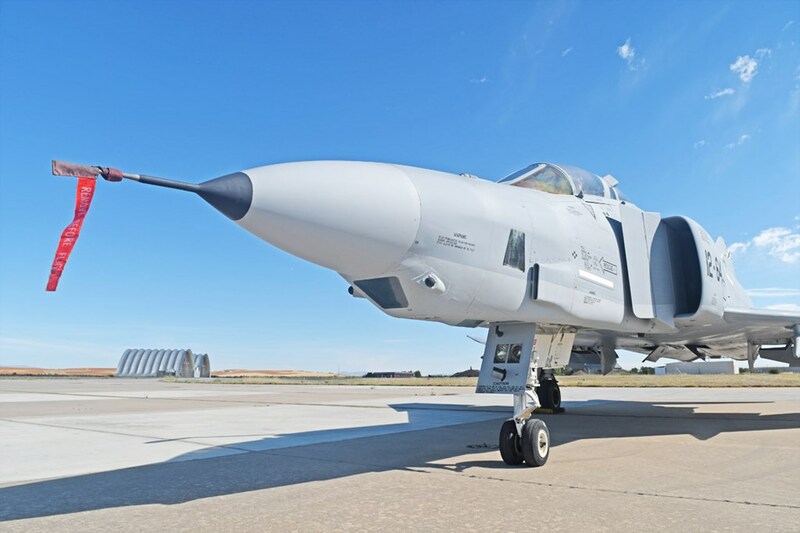 The Phantoms have quickly reached a high degree of operationality in the Spanish Air Force fleet thanks to Sparrow missiles and seven tons of weapons placed under their wings. Ala 12 has been equipped with the F-4C and RF-4C (Reconnaissance) variants of the fighter jet. In the mid-eighties the Phantom began the final phase of his life. Only the RF-4C reconnaissance variant has continued its operating life until 2002. The restored aircraft belongs to this one. Currently Ala 12 operates McDonnell Douglas EF-18A/B Hornet fighter aircraft for air defense role.